Sponsored by Convergent Technologies, Linda Archer, and Elliott Davis, LLC. This broad musical satire of America’s seventh president, Andrew Jackson, follows him from the campaign trail all the way through the White House. 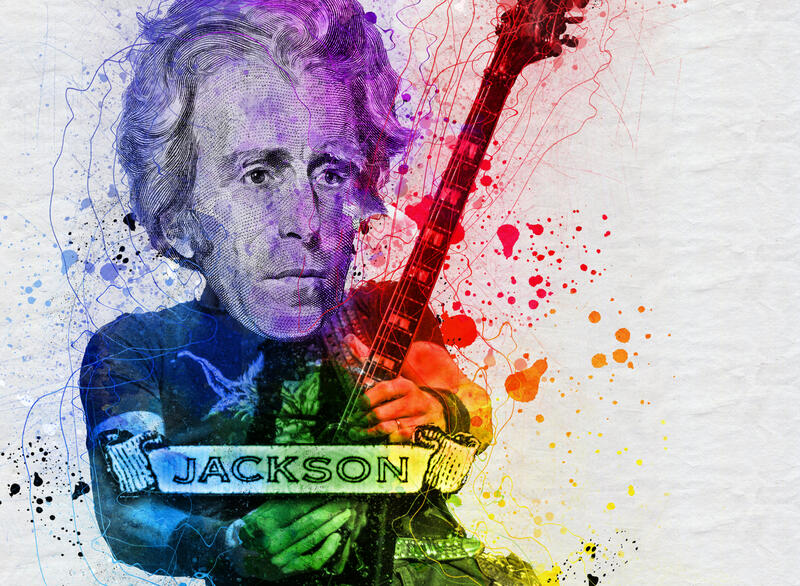 Jackson captures the Presidency as a born and bred American with a message that resonates with the common people, as opposed to the ruling class that preceded him. Ascending from his Tennessee upbringing, he finds himself in the Oval Office and discovers that campaigning is easy, but governing is hard. This musical explores how our great democratic experiment works and helps us realize how the more things change, the more they stay the same. Featuring Benjamin Taylor Davis, Aaron Brakefield, Crystal Stewart, Bretteney Beverly, Jennifer Webb, Drew Whitley, Emily Grove, Skye Passmore, Kevin Ray Jones, Sarah Adams, Parker Byun, Kaylee Gonzalez Willis, and Jonah Bishop-Pirrone.